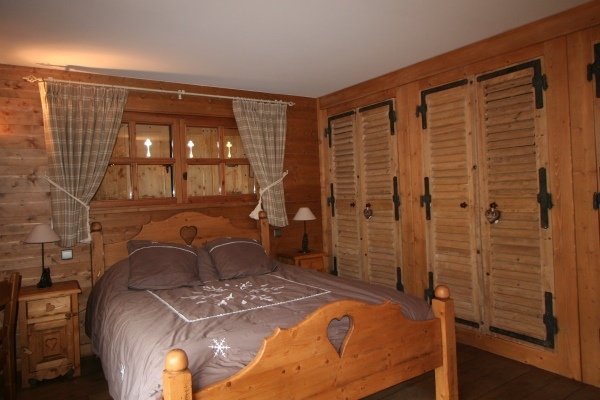 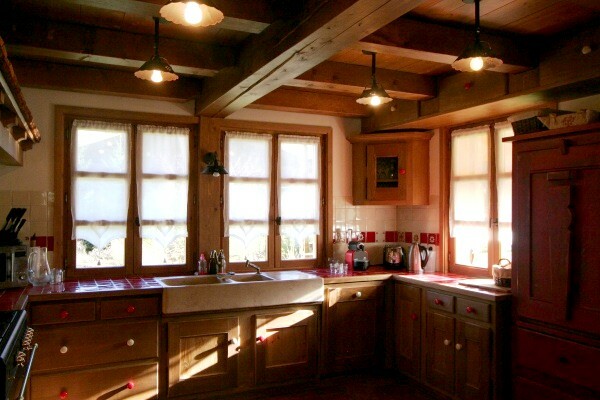 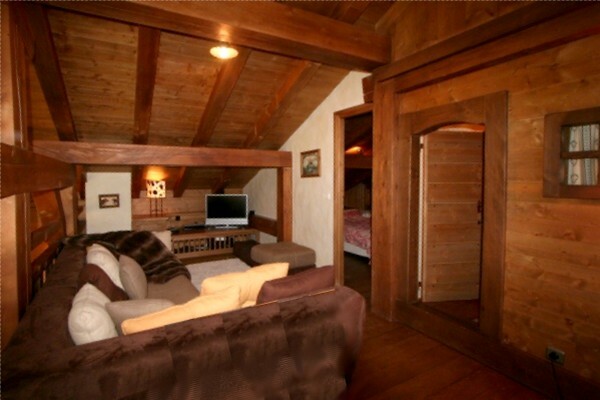 Chalet Véronique is located on the Mont d'arbois plateau, above the village of Megeve, with a splendid view on the Rochebrune slopes and only a stone's throw away from the Mont d'Arbois lifts. 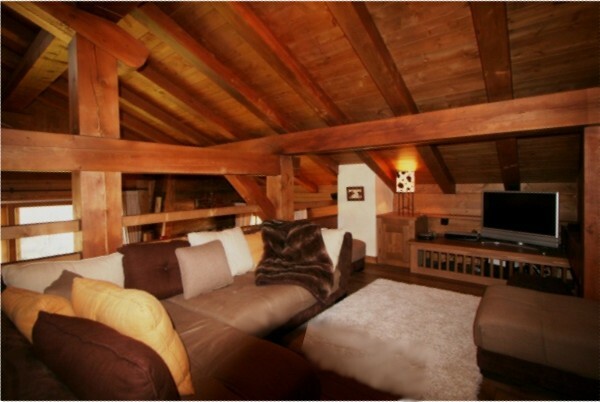 This luxury chalet offers a traditional alpine layout and is decorated with a mix of warm rustic furniture mixed with modern pieces. 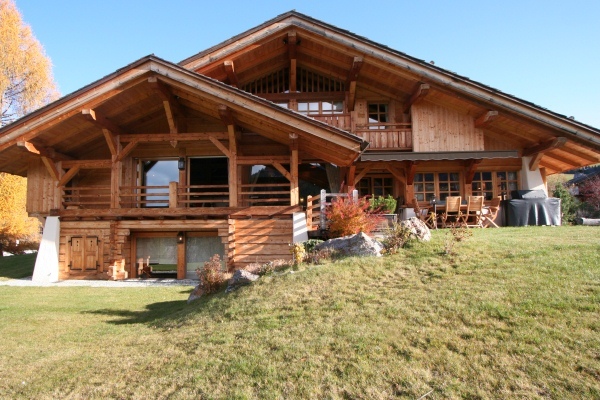 This splendid chalet allows for much sunlight thanks to its large glass windows and exposure. 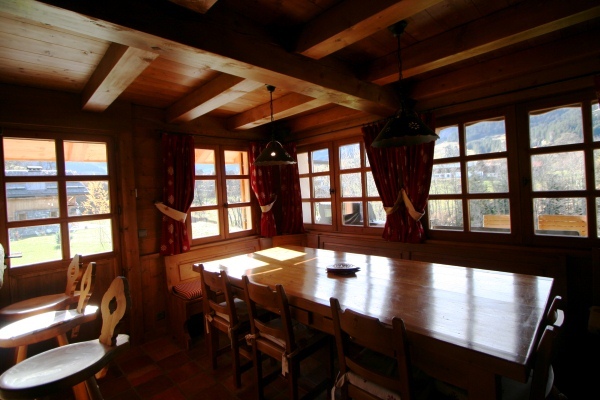 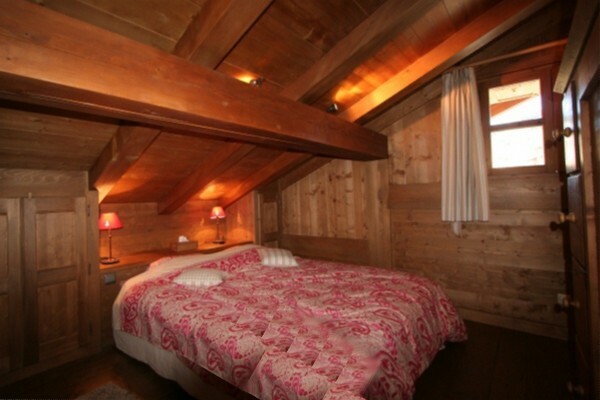 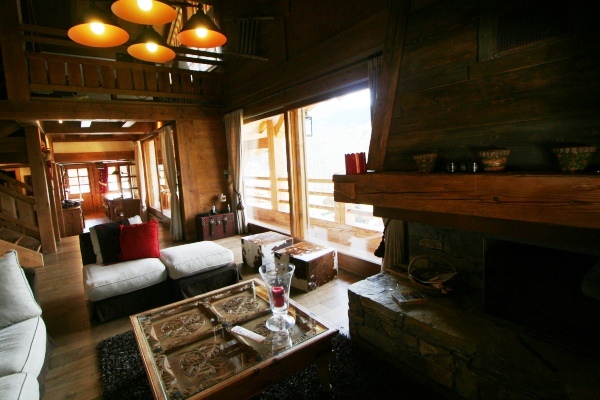 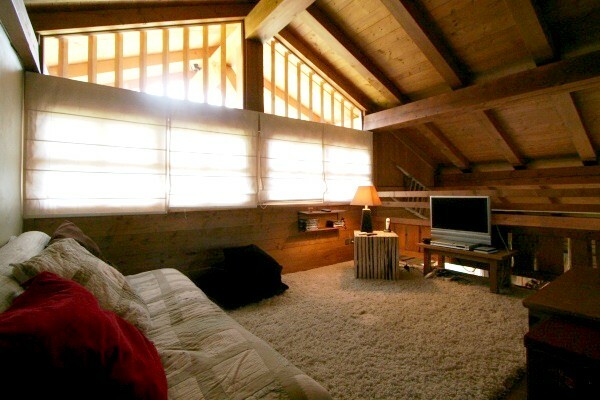 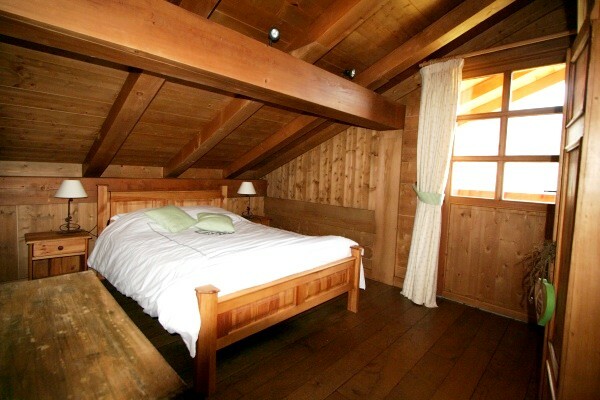 This chalet is an ideal choice for a family also thanks to its child living area corner. 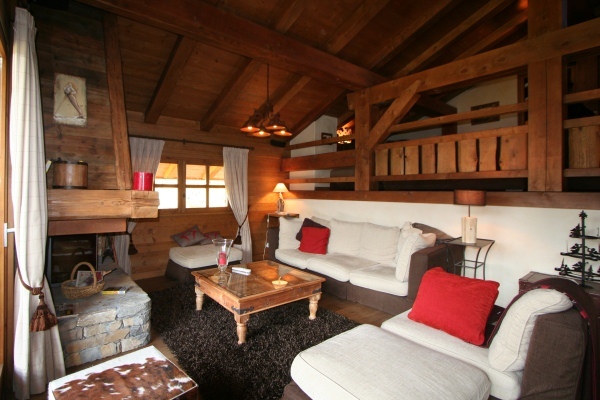 Count on some long happy evenings by the fireplace. 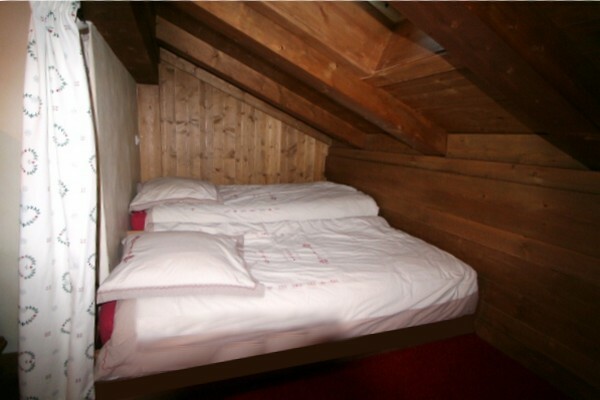 room; bedroom 2 with two beds 90, separated toilets. 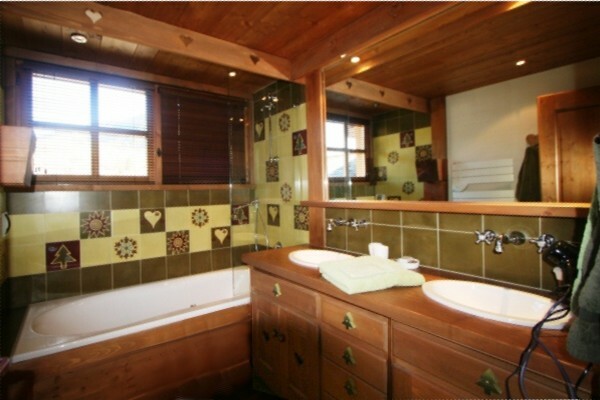 with bed 180 and shower room, guest toilets. 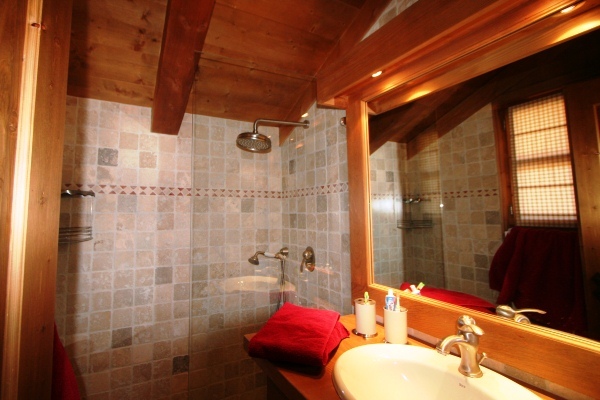 Laundry room, heating room, storage.